Save on select MOTRIN® products with special offers. MOTRIN® IB Liquid Gels work fast to stop pain where it starts. Call 1-877-895-3665 (toll-free) or 215-273-8755 (collect). I've trustee Motrin for some time it helps me a lot for muscle, head ache,and for my daughter it helpes her for menstrual pain. I only buy this Motrin type, the liquid gels start working faster than other products I had used in the past. I've been using only liquid gels for about a year now. They are also easy to swallow. Motrin is the only pain reliever my husband will use! It works fast and it's affordable! 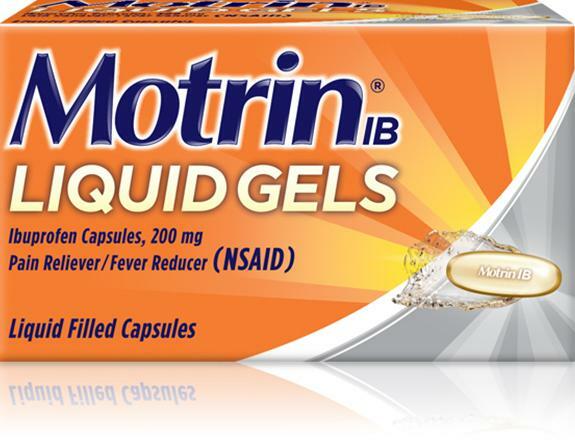 Motrin Liquid Gels are a great alternative to regular type of pills. These help not to irritate your stomach. They are larger so you may have a hard time swollen them. It worked on headache and joint pain. Motrin has been our family’s number one pain reliever for a long time!! It is better for that special time of the month over Midol! Quick relief from stressed muscles, headaches and cold and flu symptoms.